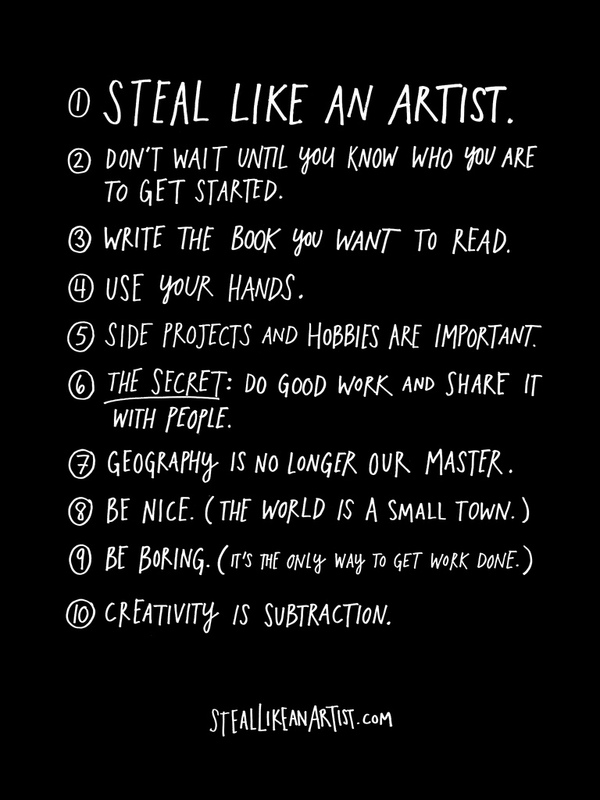 I’ve followed Austin Kleon‘s work for a while and have mentioned him on the blog previously around the time his book ‘Steal Like an Artist‘ came out. Since then Austin has continued to do great work, published another book (Show your Work) and has spoken at many conferences discussing his thoughts and approaches to living a creative life. The video above is the keynote that he gave at this years SXSW conference and is well worth a watch, particularly for those people who are at the early stages of building a body of work and finding an audience. Do you recognize yourself in his descriptions? I hope not! #6 is of course the answer! We all should be spending our time and energy on doing good work and getting that out into the world. Any rewards will flow from that. Check out the trailer for the book below.